ISLAMABAD: The top guns of Muttahida Majlis-e-Amal (MMA) could not protect their home constituencies seats, putting a question mark on the interest-driven religious group’s future. The MMA was revived after around a decade of time with the rosy slogan of establishing a welfare state; however, the widely fractured religious group failed to garner much support, as its leadership’s top tiers could not secure their seats. The president of MMA and head of Jamiat Ulama Islam-Fazl (JUI-F) and MMA Secretary General Liaqat Baloch failed to win any seats. Fazl-ur-Rehman suffered a major shock as he was defeated by Pakistan Tehreek-e-Insaf (PTI) candidates on two national assembly (NA) constituencies from his hometown Dera Ismail Khan with huge margins. However, ironically his son Asad Mehmood won a seat from NA-37, Tank with a fair margin. Another bigwig, who suffered a huge defeat is MMA Vice President and Jamaat-e-Islami’s (JI) Ameer Siraj-ul-Haq who suffered defeat from NA-7, Lower Dir with a huge margin, while senior leader Akram Khan Durrani was also defeated by PTI Chairman Imran Khan in his home constituency NA-35, Bannu. 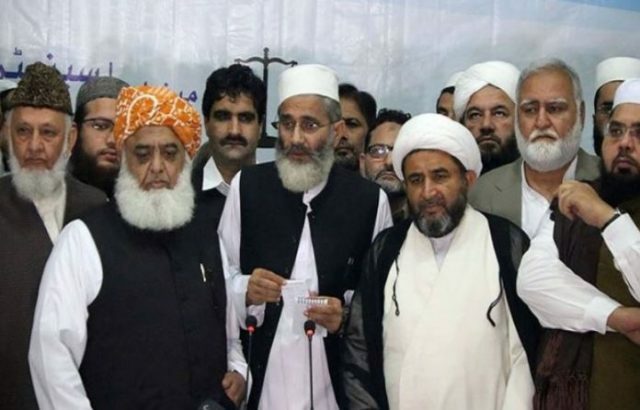 The MMA – an alliance of six religious parties – which includes JUI-F, JI, Jamiat Ulema-e-Pakistan (JUP), Jamiat Ahle Hadith (JAH) and Tehreek-e-Islami (TI). Sources told Pakistan Today that the top tier leadership’s defeat was quite shocking as they did not expect it at all. However, they said that the MMA could not run their campaign effectively and only focused on anti-PTI and anti-Imran Khan narratives that eventually proved counterproductive. They said that the JI criticised PTI’s various projects in elections rallies although they did not object once while in the PTI-led Khyber Pakhtunkhwa (KP) government. “Sirajul Haq even contradicted Imran Khan’s claims of the billion trees tsunami projects, hospitals and education reforms; however, he was all praise for him while in the government,” they added. They said that the MMA was widely fractured as at several constituencies they were supporting their own rivals instead of MMA candidates and the leadership could not do away with the differences. The sources further said that it was a fact that the MMA was revived due to the fast dwindling support base of the religious vote bank; however, even its revival could not work and they have some serious soul-searching to do in this regard if the alliance is to remain intact. In 2002, the MMA was a more effective force, where all leading religious parties were part of the alliance and had a strong political programme in shape of the United States’ (US) invasion in Afghanistan due to which the alliance succeeded in winning sizable votes. 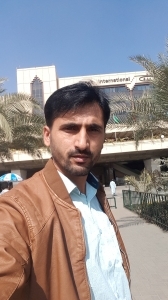 However, this time around the situation was different as neither all religious political parties were part of the alliance nor did they have a slogan against foreign invaders in Afghanistan. The cracks appeared in MMA when the chief of JAH Senator Sajid Mir categorically directed his supporters to vote for Pakistan Muslim League-Nawaz (PML-N) instead of the religious alliance, arguing that his party will not become part of any game intending to dent the PML-N’s vote bank.